I remember when I was in tenth grade, having a writing assignment that correlated with a book we had just read, Lord Of The Flies. I can’t say I remember much about the book anymore other than it was about a group of young boys who were stranded and forced to fend for themselves. They developed their own kind of government and basically turned into savages. The book was supposed to be an alarming representation of human nature. And it was certainly alarming. I can remember my answer pretty plainly. Probably because it stood in stark contrast to what most of my classmate’s answers were. My Christian Reformed roots ran deep even back then and my answer to the question was that I believed people were mostly bad. In fact not just mostly, but completely bad. I believed that we were all born into sin and in need of a savior, and that any good we were able to muster up was a demonstration of God’s grace. My answer back then is the same as it is now. Only in tenth grade I was just reciting biblical truths that I had learned and held close to my heart. Now as a grown woman with a lifetime of “life experience” packed into a decade post high school, I see things even more clearly and can understand why that biblical principal was taught to me over and over throughout the years. It is human nature to try to put people in categories. This one is good, this one is bad, this one has a beautiful soul, this one is evil. We want to put ourselves in categories too. Most of us want to believe we are pretty “good” people. This distinction becomes even more apparent when we are faced with some type of conflict. When you are in a position where you felt wronged in some way. We all have played the victim card at times, I know I’m guilty of it. And we’ve all painted others as villains when confronted with a situation where we could either be painted as the good guy or the bad guy when the story is retold. The older I get, the more I realize that conflict is just part of life. Sometimes you do things that hurt people and sometimes they hurt you. And at the end of the day you both need God’s grace just as much. You might be asking why am I preaching this to a group of barrel racers? 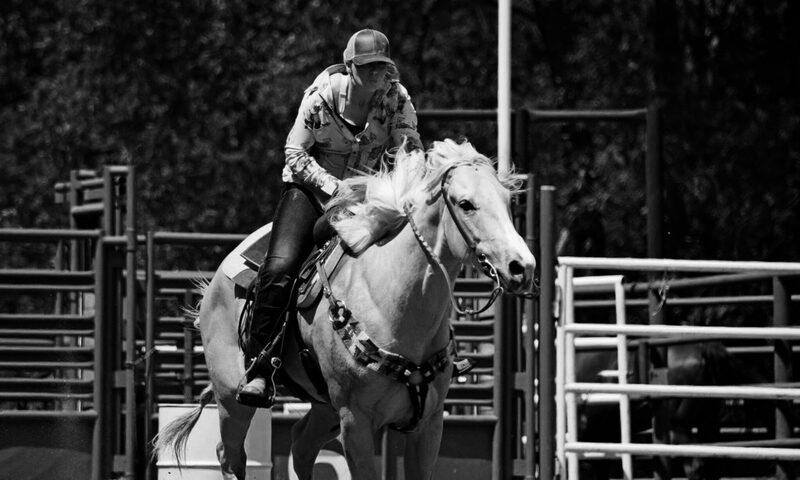 Because conflict in barrel racing is INEVITABLE. In a competitive industry that is emotionally charged because of our goals, our egos, competitive nature or insecurities, we NEED a few principles that keep us grounded in the midst of it all. When faced with the option to blast someone who “wronged you”, I want you to fall back on this principal and remeber that YOU need Jesus just as desperately as them. I promise I am preaching to the choir on this one. I need God’s grace more with every passing day. And an extra helping when I am triggered by something completely inconsequential to the big picture. There really are no villains or victims. The stories we tell ourselves or our friends that make us out to be the victim are bogus, and I for one am tired of letting anyone else have that kind of power over me. I don’t want to give someone else the power to make me feel like a victim. I’m going to come back at that feeling with truth. And the truth, once again, is that we ALL need Jesus, especially me.